These are reproduction mini human skulls made of plastic. 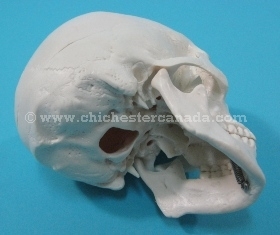 The skull can be opened horizontally. The mandible is attached with a spring. 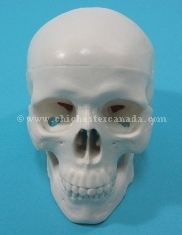 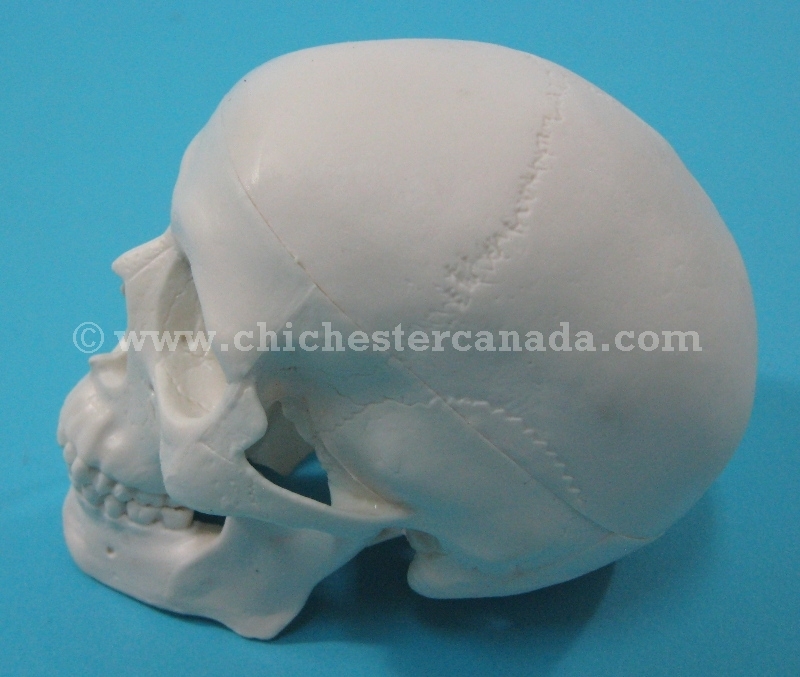 The skulls are 7 cm wide, 7.5 cm tall, and 10 cm deep (from front to back). 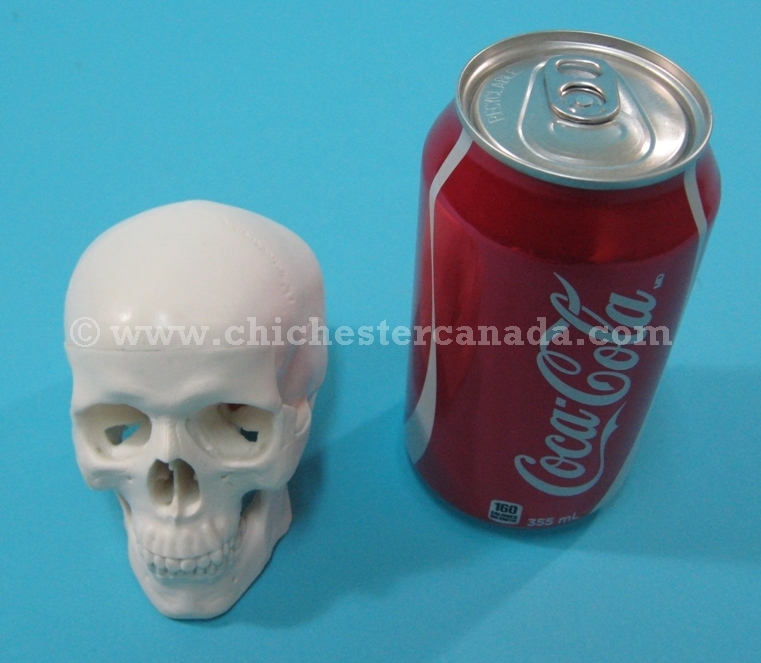 The skull weighs 109 grams.